Digital Marketing Strategy,Analytics,Market Research,Predictive Modeling Blog: How to get your facebook.com email ? Thank you for explaining digital marketing interview question and answers in detail. 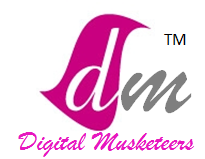 Now I have a much better idea about the digital marketing.hunt your dream digital marketing jobs in hyderabad .